These politikos are meant to be together — for this day, at least. Mayor Christian Natividad of Malolos, Bulacan joined other young leaders under the Alliance of Leaders Empowering Communities in taking their oath before Vice President Leni Robredo. The group all went to visit the VP in her office in New Manila, Quezon City. 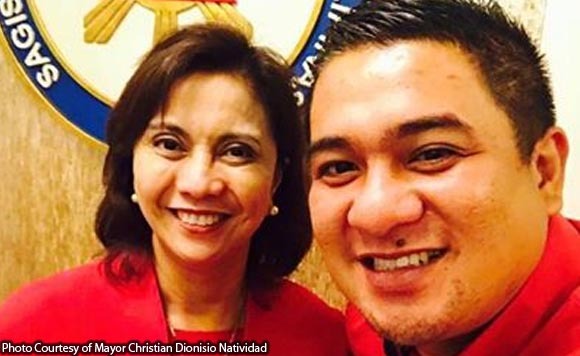 Natividad was lucky enough to snag a moment with Robredo for a selfie, which had them realize that they were both wearing red. Bagay!